There are a couple of projects launching their platforms this year as proposed. Some platforms will have their TestNet released first before the main launch to make sure everything goes exactly as planned before it is eventually opened for public participation. A prototype of the main network but specifically for making sure all is running fine before it’s finally implemented on the main network. It’s also used to experiment with new features or updates before making them live on the main network. Coins or tokens on this platform has no real value and cannot be used on the main network. This is the stable version release. It’s the main network in which the real transaction takes place. What To Expect After Project Launch? Many projects go through ICO phases to get funds to implement that destructive, world-class platforms they claim will bring a change to the way things are earlier done. The success of these projects depends on what people think about it in the long run. If it solves the problem as announced, then you can expect a rise in the value of such project. It could also go down the other way if the project doesn’t meet its standard. Before you invest in any project, make sure you do your research and you’re genuinely convinced that such project solves a real-life problem. VeChain, a blockchain solution developed to keep track of the supply chain. The team aims to integrate blockchain technology with real-world focusing on the agricultural, automobile, retail, and other industries. This project will be used to verify products before purchase is made. The VeChain (VEN) token, the native token on the platform will be used to make peer-to-peer transactions on the network. VEN is currently ranked 16th with a $2.07 billion market capitalization and is currently priced at $4.08. The VeChain MainNet is scheduled for the end of Q2. Ontology, a blockchain/distributed ledger based solution that integrates distributed data exchange and identity system, data collaboration, procedure protocols, communities, attestation and several other industry-specific modules. The project will bridge the gap between blockchain tech and the real world while focusing on trust, data exchange, identity, and authorization. 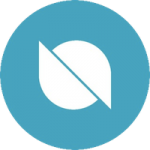 The Ontology (ONT) token currently ranks 19th and is priced at $8.18. Its total market cap stands at $978 million. The MainNet for Ontology is scheduled to be released by the 30th of June. This project is developed to solve the interoperability issue by establishing a platform-level chain that connects all values, provides financial functions, and also bridge centralized and decentralized organizations bringing IoV (Internet of Value) as early as possible. For this to be achieved, the team is building a public chain which will allow various tokens mapped to it. This will increase interoperability with the Internet of Values by letting different tokens on divers blockchain platforms communicate. Fusion (FSN) is still way down but still within the top 100, ranking 90th as at the time of writing. Market capitalization, $189 million while coin trades at $5.48 per coin. The main net launch is set for the end of Q2 2018. 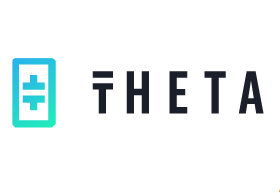 The Theta network is a decentralized video streaming platform that solves a lot of issues faced by traditional video streaming platforms. The platform will eliminate CDN which platforms like Netflix use to deliver contents for DSN (decentralized streaming network). Theta Token (THETA) is currently trading at 25 cents per coin with its market capitalization at $172 million. The token ranks 89th on CoinMarketCap. Theta will have its TestNet platform released on the 30th June. MainNet will be released at the end of the year if all goes well. Enigma is an off-chain network that aims to bring privacy and scalability to any blockchain. This will enable secure and decentralized data computation. According to the team, the Enigma can be used by any blockchain platform to crunch their data off the blockchain on decentralized network nodes. 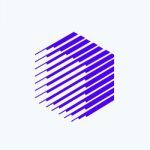 Enigma (ENG) ranks 91st and is currently priced at $2.12 per coin. Market capitalization stands at $154 million. The project will launch its test platform on the 30th of June, 2018. Enigma main net project isn’t set to be released until the 3rd quarter of 2018. HPB, a new kind of blockchain software and hardware architecture. It is positioned as a straightforward and easy to use high-performance blockchain platform. The implementation of a new architecture allows blockchain support millions of transactions every second. The High-Performance Blockchain (HPB) currently ranks above 100 but is traded for $3.80 per token. Market capitalization stands at $111 million. MainNet is scheduled to be launched sometime in June 2018. Credits offer divers advantages. The plan is underway to create a cryptocurrency on a network that is capable of processing millions of transactions every second with a three secs on each transaction. The platform is targetted at the financial industry. Transaction on the network is said to cost 0.01% which makes it possible for users to make small payments for various things. Credits (CS) is trading at $0.48 per token. Ranking 174th with a market capitalization of $76 million. Credits team will launch the MainNet as scheduled if all goes well. TheKey is a decentralized ecosystem for identity verification tool which makes use of national big data and blockchain. The project is planning to leverage the power of the blockchain and smart contract technologies to develop identity verification solutions. These verifications would be processed on the blockchain, and when the process is completed, the data will be encrypted for decentralized applications. THEKEY (TKY) currently trades at $0.01 per coin. With a market capitalization of $70 million the token ranks 155th on CoinMarketCap. Test network release is scheduled for the 30th of June, 2018. OriginTrail aims to change the supply chain management just like it’s competitors VeChain and WaltonChain, by building the first purpose-built protocol on the blockchain. The platform can run on top of any I.T. system; this makes it inter-operable with real-world systems. It, therefore, enables data sharing along with all phases of the supply chain. The decentralized network, therefore, ensures transparency, trust, and security. OriginTrail (TRAC) is ranked 191st with market capitalization presently at $61 million. Price per coin is currently at $0.21. Republic Protocol, a decentralized dark pool platform for atomic trading. This means institutions and individuals can trade large volumes without divulging specific details. The protocol works distributing original orders into bits across the network. Then two primary smart contracts come into play. Republic Protocol (REN) trades for 9 cents per coin having a market capitalization of $52 million. The token is presently ranked 202nd on CoinMarketCap. The team will launch test net on the 30th June 2018. MainNet is scheduled for the 3rd quarter of the year. 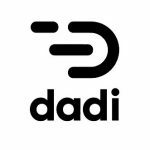 Decentralized Architecture for Democratic Internet referred to as DADI, is a web service platform that offers computing power, data storage, and content delivery for businesses. Users on the platform are given access to the interconnected VPCs which is way better in delivering data to their audience using hundreds of thousands distributed nodes. DADI (DADI) token is trading for 19 cents and is ranked 395th on CoinMarketCap. Market capitalization stands at $17 million presently. Dadi will launch their main network on the 30th of June. All these projects are amazing and pretty cheap at the moment, and if most of these projects launch just as scheduled, there is a high chance that their prices will moon in a short time. Note that this article doesn’t suggest in any way for you to invest in any of this project listed. It’s imperative that investors do their research before investing and also, don’t invest what you can’t afford to lose.